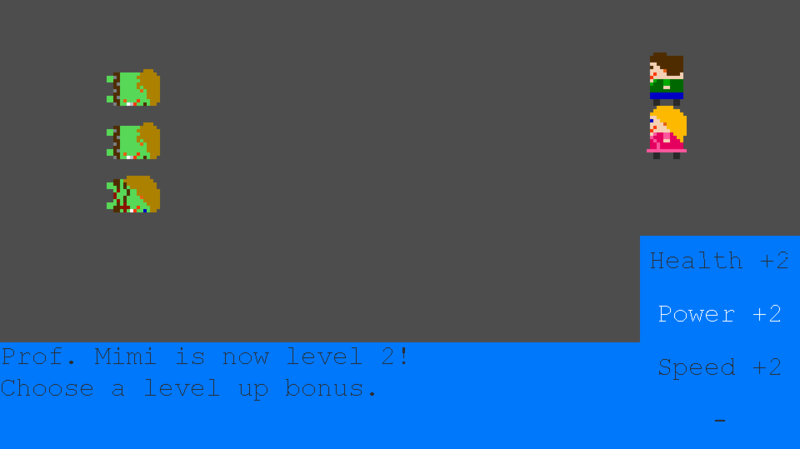 At the end of the battle experience points are awarded to the party members and if a character levels, a choice will be shown to increase its statistics. For now I want to leave it at statistics for the level-up bonus and allow the player to buy attacks for its characters in stores. This should lead to characters being a blank slate where the player can project his idea of a class on. Fixed the backwards ‘moonwalking’ and added a pointer so you can select the target of the attack. The video also shows a healing power, which is basically an attack with a negative damage amount. The creatures will now also attack a random enemy instead of the first one by default. They also select a random power from their power list. I tried out adding some buttons and some basic save functionality. At the moment it just copies the world object to your clipboard, but I will look into saving it using localstorage. 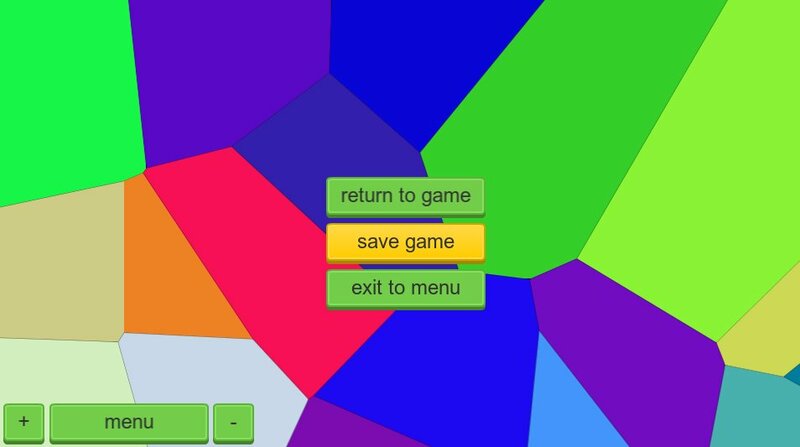 Some thoughts and idea’s for the Voronoi cell strategy game. I’ve added a date timer, which will be the actual date in the world on which events are based. For example, moving an army might take 1 month depending on the distance between two capitals. The water cells don’t have a capital, and can’t be claimed in the usual way. 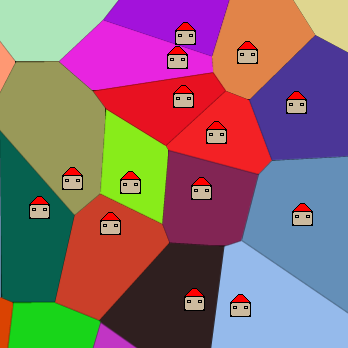 Green cells are land provinces which have a capital and are owned by a faction/house. I want to start with just adding human settlements and maybe later expanding it with elves, dwarves and goblins. Each race will then have its own special features. For example, dwarves might get a bonus on smithing. For now the game is just all you can see in the screenshot above, but I hope to create a very elaborate empire managing game. In the image above you can see the random set of trees that are generated for the level. 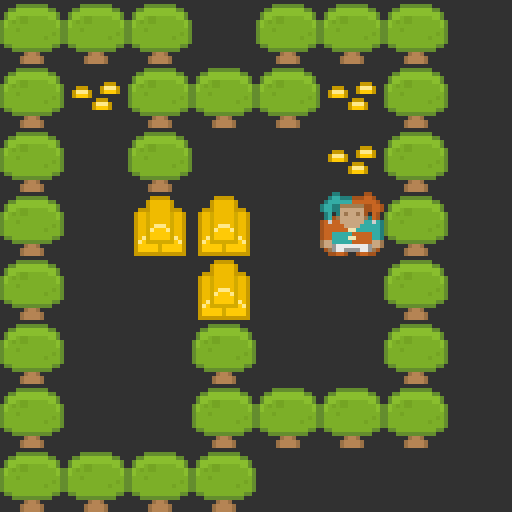 I’ve decided to name the game Jester Sokoban since the main character is a jester, whose sprite I picked up in Kenney’s Roguelike character pack. In the past I’ve done a Sokoban style game before, and I thought it would be a good small project to launch my HTML5 games career with.